Show off your tasteful collection of jewellery with this exquisite necklace. Designed to meet very high standards, this necklace is made from sterling silver, which is creatively mixed with 24 karat gold. The mixture is aesthetically pleasing to the eye, and creates a perfect balance, providing the glow that every lady so craves for. The glow is important because it is sort of the icing on the cake of a good outfit. In addition, it also enables a lady to exude confidence, which when combined with a great outfit create a dashing appearance. 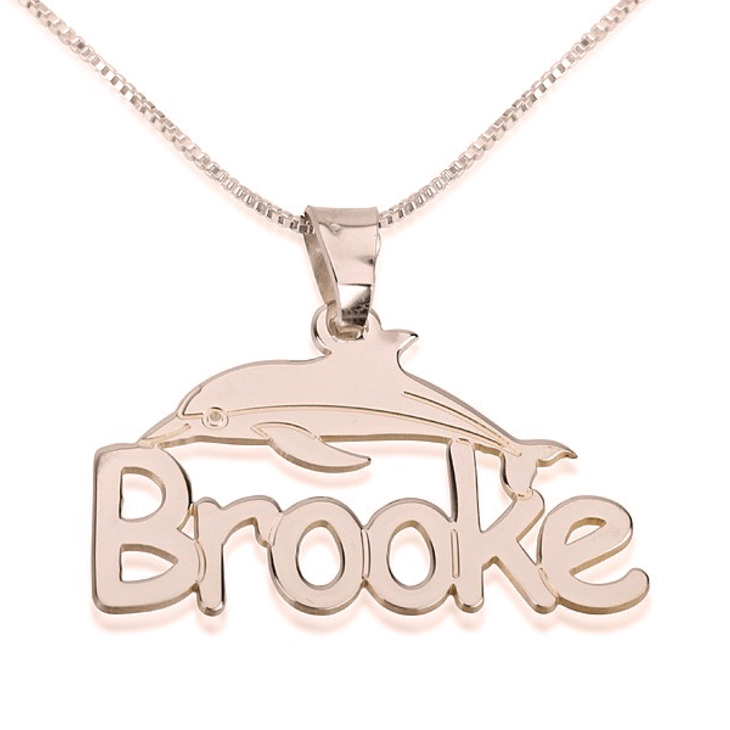 The necklace is also fitted with a dolphin on any of the letters on it. Whether you are a supporter of the conservation of sea life, or simply love the gentleness of the dolphin, this is a great accessory to pair up your casual wear with. The use of sterling silver ensures that the necklace lasts for a long period of time without the need to replace it. Over time, many clients prefer to keep their necklaces even when they have become old. 1st time customer. I’m very much impressed. 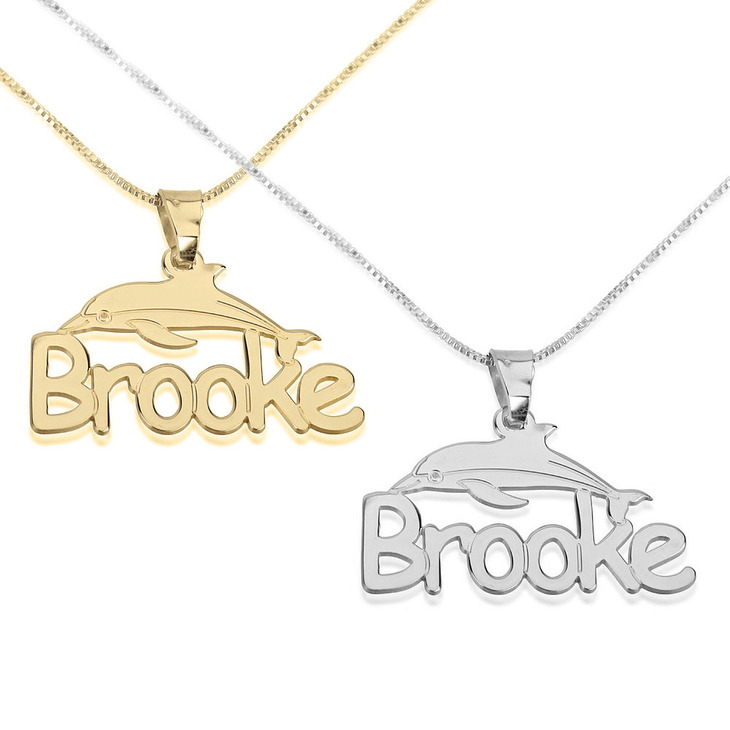 I ordered dolphin necklace with name for my daughters b day. I was amazed at how fast I got it 6 days. WOW!!! The packaging is delightful an the quality is very good. I was unsure when I ordered this being online an all. But I’m happy to say I WILL be ordering more in my future An I’ve been telling everyone about this site. Love it. Thank you so much.